Bitvorians are an unabashedly curious bunch. We read constantly, work hard at networking (the people kind) and never met a question we didn’t like. Interviews? Can’t resist. Surveys? Count us in. FAQs? We like to read those first. Yes, it was only a matter of time, dear reader, when we addressed your own. Because as much as we enjoy getting the scoop on our market and our customers, perhaps you’d like to learn a little more about us. So, here are a few fan favorites. 1. 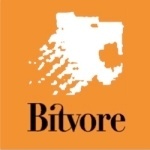 What exactly does ‘Bitvore’ mean? And what’s with the tiger? This is surprisingly a question we get asked a lot. Firstly, it’s not a tiger, but a voracious “bit-eating” carnivore. Carnivore for bits. Get it now? 2. What problem are you solving at Bitvore? We look at digital text – news, research, analyses, opinions, studies, projections, reports and filings. These are found in many forms on the Internet that we consider – media sites, social media, blogs, emails, corporate publications, press and government databases. Mostly this is public information but partners are granting us access to very large private stores as well so that we can bring their research into context for business decisions. 4. Does that mean you are a sort of search engine? While you can definitely do on-demand searches with Bitvore, we are not a search engine per se. Bitvore’s platform searches, then reads what it finds, throws out the junk and keeps the impactful, fresh information. We replace this common manual process: do a search on the internet, read every article that came back in the first several pages of the results, pick out ONLY juicy impactful articles, file them under a specific company or investment and then send an alert to the person it impacts. The Bitvore platform does this all day long for thousands and thousands of different subjects, companies and assets. You can access the content in the platform via a search, API or an alert in an email.